You’re not losing as much weight as you expect because you’re not breaking your diet enough. Well, that’s what this diet suggests. 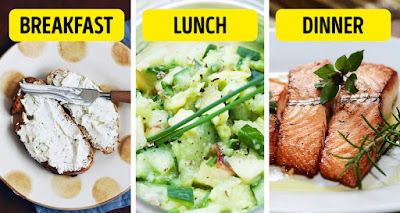 It argues that you can burn up to 6 lb (2.7 kg) by controlling your eating only during the weekends instead of almost fasting for the entire week. Who would possibly not want that! 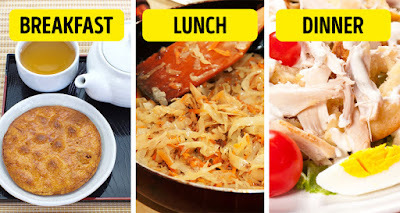 Instead of jumping between diets, shakes, and the same boring salads over weeks, months, and even years, you can just eat normally during the week and have special diet weekends to get back the body you had when you were a teen. No need to feel like you’re on a hunger strike, limit yourself to liquids or eat food portions that could fit into a doll’s plate. There’s no secret either. You only need to eat in moderation and choose the right products like those that improve digestion and burn calories more easily. Saturday and Sunday, that’s all it takes. Up for the challenge? Here we go! Breakfast: a rye bread sandwich with 200 g of cottage cheese. You can pair this with your regular coffee or tea, just keep sugar and sweeteners away. Dinner: 100 g of fish with some spices cooked inside the oven. For dessert, have 200 g of kefir or low-fat Greek yogurt. Breakfast: A cup of green tea without sweeteners and 2 big crackers with no sugar. Dinner: 100 g of chicken breast, 1 boiled egg, and a tomato. For dessert, have 200 g of kefir or low-fat Greek yogurt. Sure, you won’t be having that big burger you usually have on the weekends watching Netflix but after the compliments you’ll receive when you walk into work Monday morning, you’ll know it was totally worth it. And the best part? You can have your regular Monday lunch that day! Always follow your doctor’s guidance. Consult them about if this diet is perfect for you or if you should add some other ingredients that you particularly need. Pair this 2-day diet with a 2-day 30-minute workout. Do what you love: run, dance, jump, or do some aerobics. 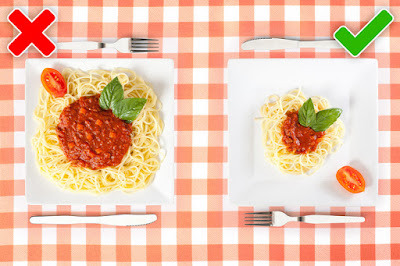 Cut your carbs and fat intake by half. So yes, you can eat that triple chocolate cheesecake, just make sure the size is smaller.